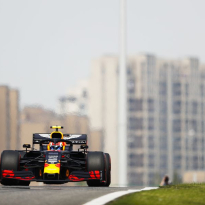 Few races have arrived with such hype, pomposity and expectation as the Chinese Grand Prix – you might have spotted some subtle reminders of it being the 1000th World Championship race. Those in charge of the sport must have watched through their fingers, then, as a procession, ruined further by Ferrari's team orders farce, promoted some of the duller elements of Formula 1. 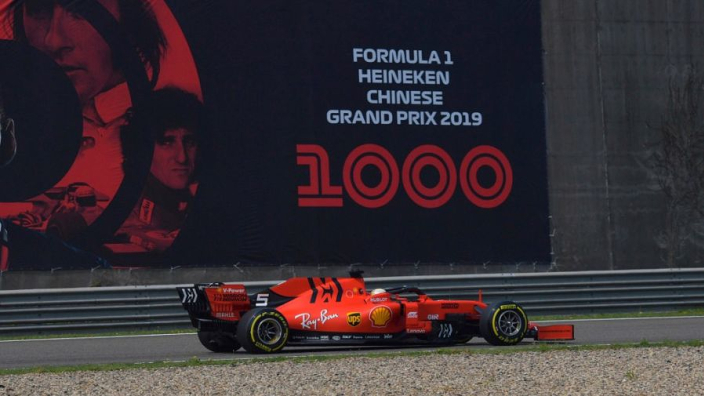 Given the Italian Grand Prix later this year will actually be the 1000th Grand Prix in Formula 1 history, Liberty Media could be forgiven for erasing all memory of the way they glorified this weekend's race in Shanghai. The signs have always been there. Attempts to bring a host of classic cars to Shanghai were blocked by Chinese customs, so Damon Hill was put to work on every day of the event to drive the championship-winning Lotus driven by his father – hardly a celebration of F1's rich and varied past. And the damp squib surrounding attempts to bring an antique sheen to the landmark played out on track as Mercedes secured a third one-two finish from three races this season. After the season-opening intrigue of Australia and the thrills of Bahrain, this was reminiscent of some of the dullest races of an era dominated by the Silver Arrows – the fight for victory was over by the first corner as Lewis Hamilton got by a wheel-spinning Valtteri Bottas to take the lead in the drivers' championship. 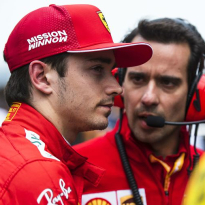 Any hope of Ferrari bringing the fight to Mercedes was ruined by their insistence on swapping Sebastian Vettel and Charles Leclerc, team orders which completely shafted the Monegasque, who ended up fifth. With no action at the front, coming away from the milestone race with the flaws of the most famous team on the grid being the main discussion point will not be how Liberty will have wanted the big moment to be remembered. Not only was the race ruinous for Liberty's promotion, but the 2019 season as a whole is starting to make a mockery of the F1 owners' attempts to level the playing field. Mercedes have taken first and second place at all thee races so far – a feat not managed by a team since Williams in 1992. That year Nigel Mansell won nine of 16 races to dominate the championship. While that long-awaited triumph is now looked upon with misty-eyed fondness, Liberty can ill-afford the Brit in the best car romping to another title this year. As well as milestone races, this year will also see Liberty confirm the regulations to be used in Formula 1 from 2021 and beyond. 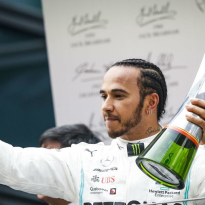 Hamilton and Vettel – the sport's biggest stars of this era – have both expressed hesitance about committing to the sport once those changes are made. Liberty's initial promise was that the 2021 rulebook would attract the biggest names of automotive manufacturing to F1. None have been forthcoming. 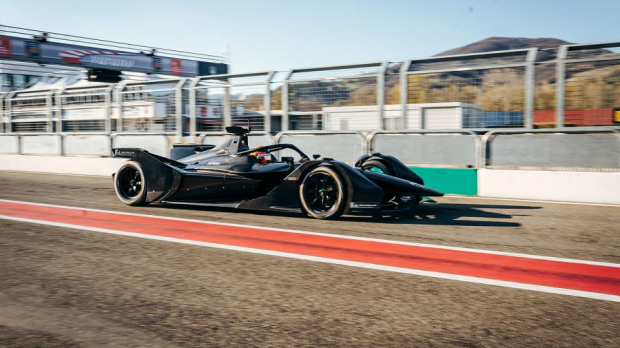 Instead BMW, Nissan and DS have signed up to Formula E and Porsche will join next season, alongside Mercedes who now have an iron in another, fast-growing, fire should F1's changes not suit them. So with Liberty instead turning to a desire to improve the product they already have, Mercedes' on-going dominance – now looking like surviving through a third set of regulations – shows that things are not going right, albeit being compounded by Ferrari's farcical malaise. Pre-season testing, and glimpses so far this campaign, tell us that Ferrari's car is clearly quicker in a straight line. Aerodynamic failings are allowing Mercedes to keep them in check, but the points already left on the table this year is killing their chances and F1's attempts to brand itself as a fresh, renewed product in 2019. The midfield fight is everything Liberty would have wanted, with little, if anything, to choose from between Renault, Haas, Racing Point, Alfa Romeo, Toro Rosso and McLaren – all have scored points and 'best of the rest' has been secured by a different team at each race this year. But it's hard to attract people to the track, or keep them away from the television remote, when the best part of your races is often what's going on from seventh place down. The much-heralded budget cap that Liberty want to implement from 2021 and beyond may well help bring F1's top teams more into line with each other, provided they all remain. But things are not going smoothly for Liberty in F1's present and the future is beset with dark clouds that will need a significant wind of change to remove.